One of the things our team loves the most about CES is getting to see companies start out in Eureka Park, the show's startup section, and end up having a major presence on the show floor. The best example of that transformation is definitely BenjiLock. When we first encountered Robbie Cabral in 2017, he had a small booth in Eureka Park with a large, nonfunctioning prototype. The idea was sound, but the technology wasn't there just yet. The following 12 months were big for BenjiLock, with a successful appearance on Shark Tank and a big investment from Kevin "Mr. Wonderful" O'Leary. Following O'Leary's investment, the company got the attention of Hampton Products, makers of the Brinks Home Security line of products. 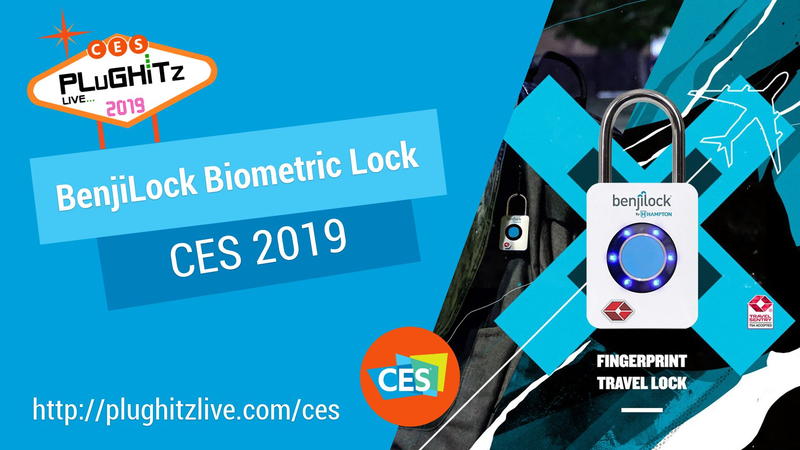 For sure, Hampton is a company that knows security products and brought BenjiLock into the fold, with a large presence at CES 2018. In addition to the standard padlock, Robbie has announced a new, smaller model, with a very specific purpose: travel. The smaller BenjiLock is designed as a luggage lock and is TSA-compatible. That means that you can use it on your suitcase when going through the airport, but you don't have to worry about the lock being cut off if security needs to access your bag.